Our Fallsview series of windows are Energy Star approved. The innovative design with multi-chambered PVC extrusion combined with our ‘Eco-Tru’ glazing system offers superior R-values and comfort. Theses standard features deliver a high performing product with outstanding ER ratings while reducing condensation and mold. Argon is a chemically inert gas (the third most common gas found in the atmosphere). When the airspace between the two panes of glass is filled with argon gas, heat loss is reduced and energy efficiency is improved (due to the fact that the thermal conductivity of argon is lower than air). 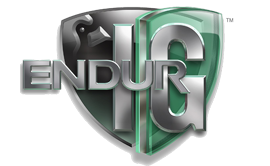 Endur IG, with its 20-Year Manufacturer Commitment, boasts a true dual-seal warm edge spacer system, proven to last longer in durability tests than single-seal units. 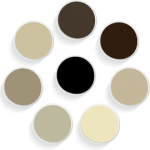 Sixteen standard colours, forty available colours or a custom colour of your choice. Our UV protected and lasting factory paint application will ensure a perfect finish for your windows. Inquire about our painting process. It is one of the best in the industry today. 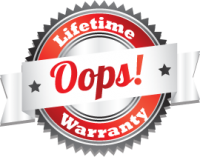 Our Fallsview & Timberview window line offers a lifetime warranty on all components (PVC frame, glass seal, and hardware, including our industry leading glass breakage warranty) and 20 year labour on seal failures.